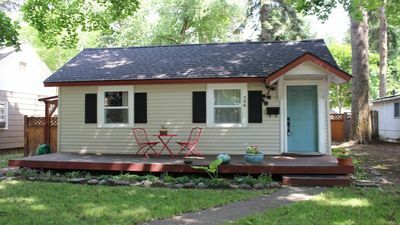 Charming Coeur d'Alene House - Minutes to Lake! 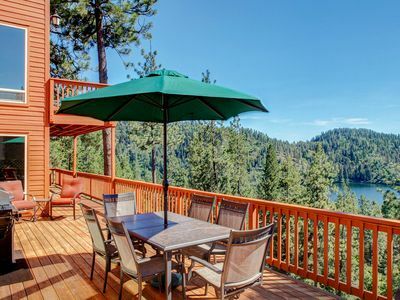 Retreat to the beautiful Idaho countryside when you stay at this 3-bedroom, 3-bath vacation rental house in Coeur d'Alene! 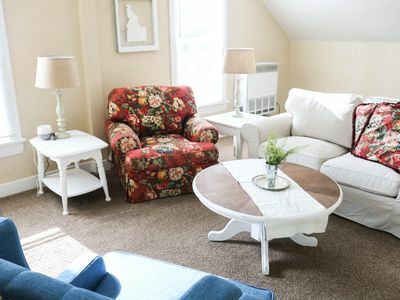 With accommodations for 6 people, this property offers a spacious interior, comfortable furnishings, and a wonderful porch area, where you'll love sitting outside with a drink to enjoy the yard’s beautiful landscaping and the neighborhood's peace and quiet. 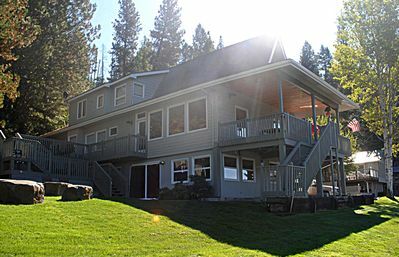 This ideally located home is only minutes from Coeur d'Alene Lake! 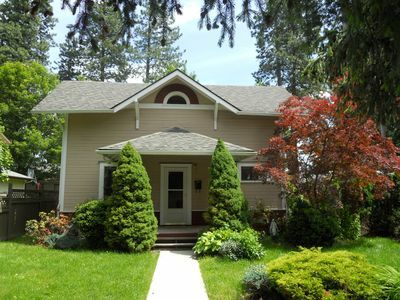 You'll find this beautiful Coeur d'Alene home nestled in a peaceful and quiet neighborhood. 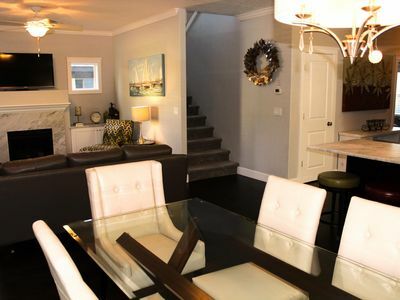 Boasting 1,800 square feet of living space, hardwood floors, and an open-concept layout, this property has all the comforts of home. 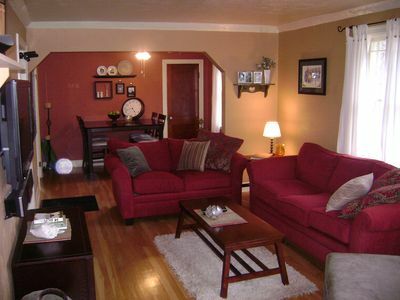 Step inside to the living room where you'll find a matching couch and arm chair, gas fireplace, and flat-screen cable TV. Open the windows for some fresh aire and take an afternoon nap after a busy day exploring the area! 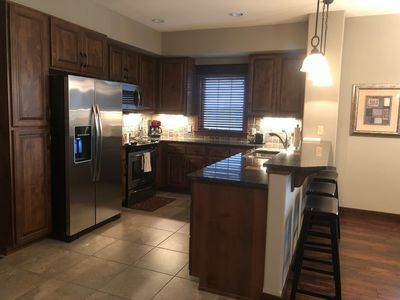 The fully equipped kitchen offers granite counters, wood elements, and plenty of space, opening freely to the dining room, where you'll find a 6-person dining table, ideal for enjoying some mouthwatering meals! When you're ready to retire for the night, choose between the home's 3 bedrooms, where you'll find comfortable accommodations to help you drift off into a peaceful night of sleep! 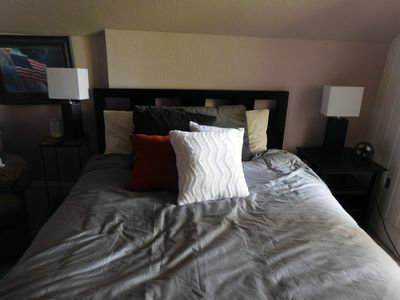 The master bedroom comes complete with an en-suite bathroom, offering plenty of privacy. A queen bed is available in the second bedroom, while those staying in the third bedroom can enjoy a cozy twin over full-sized bunk bed. 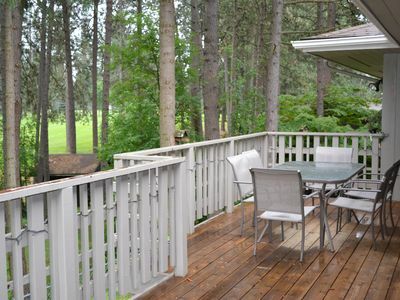 Outside, you'll find a spacious backyard with a few lawn chairs for you to enjoy. 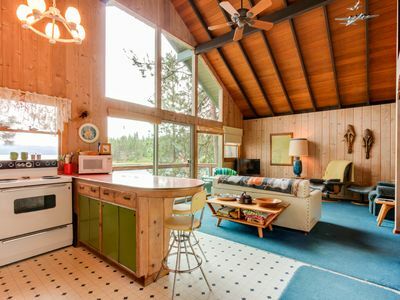 Head to the front porch in the morning to sip a hot cup of coffee and enjoy the fresh breeze! If you're traveling with a larger group, check out Evolve Listings 330077 and 349624 also in the area so you and your travel companions have more than enough room for your getaway! 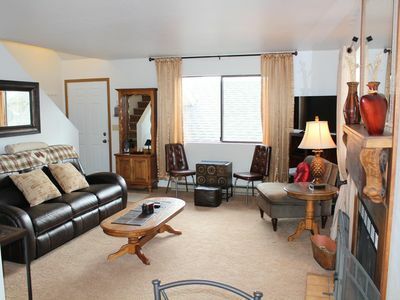 This ideally located Idaho home is just seconds away from tons of exciting attractions! 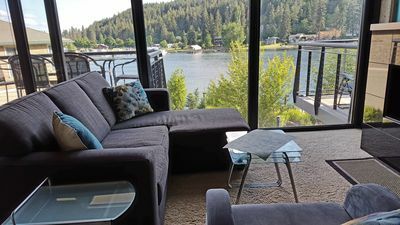 Head over to the serene Coeur d'Alene Lake, where you can have a picnic with your family and friends or simply walk around enjoying the amazing views. 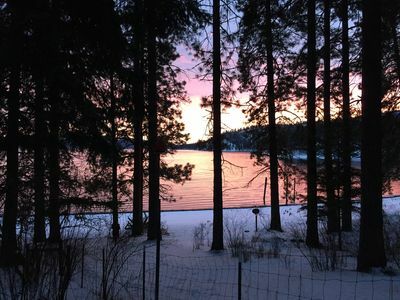 If you're looking for some outdoor adventure, Tubbs Hill is directly behind the home, nestled on Lake Coeur d'Alene, where you can explore 120 acres of land, offering breathtaking scenery and hiking trails. 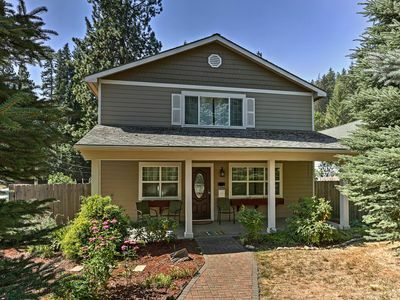 Sanders Beach, Sherman Ave and McEuen Park are also a short walk from the property! When you tire of cooking, Coeur d'Alene has many amazing restaurants for you to choose from! Check out Beverly's for some mouthwatering fine dining, or head to Drummin Up BBQ for unbeatable ribs. 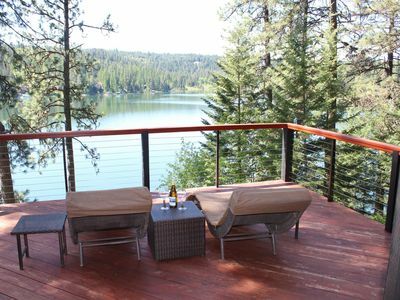 No matter how you choose to spend your time while staying at this classic Idaho getaway, you're sure to have a wonderful time while staying here! 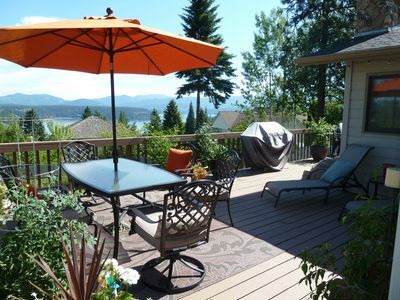 - Great Coeur d'Alene area - Easy access to restaurants, nightlife, shopping, lakes, water parks, swimming, boating, and much more! - For larger groups, check out Evolve Listings 330077 and 349624 also in the area! 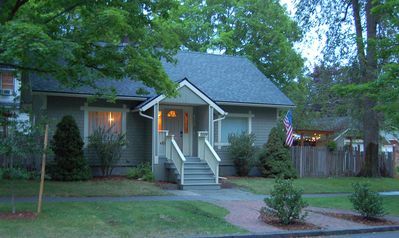 2bedroom Garden District 30min from Silver Mountain and Silverwood! 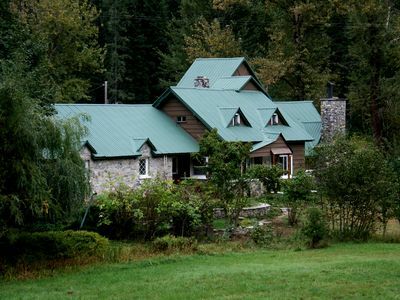 BEAUTIFUL ELK MOUNTAIN RANCH ADJOINS OVER 2 MILLION ACRES OF NATIONAL FOREST! 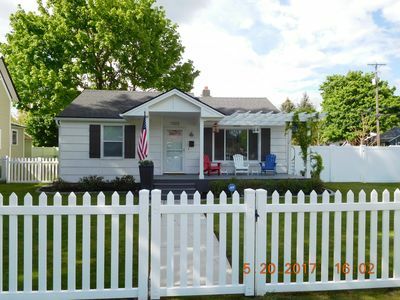 **Beautiful Hayden Lake View Home** Great Central Location!!! 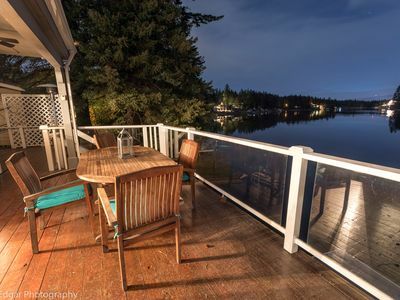 Relaxing lakefront location w/ a dock, canoe, kayak & paddle boat! Dogs ok! Location, Location, Location! The ultimate location for all CdA has to offer!